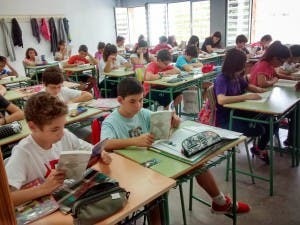 SPANISH school pupils have been ranked above the global average in reading for the first ever time. The country’s students now perform as well in the subject as those in the UK, Switzerland and France, and better than their contemporaries in Ireland, Italy and Austria. The data comes from the Programa para la Evaluación Integral de Alumnos (PISA), a worldwide education ranking organisation, which compared the average results of 15-year-olds.